After an early morning pickup from your hotel, you’ll travel to a shooting site of 'Winter Sonata' beautiful tree-lined roads, Nami Island. Depending on the season, you’ll experience different beauties of the island. We then continue to visit garden of morning calm. 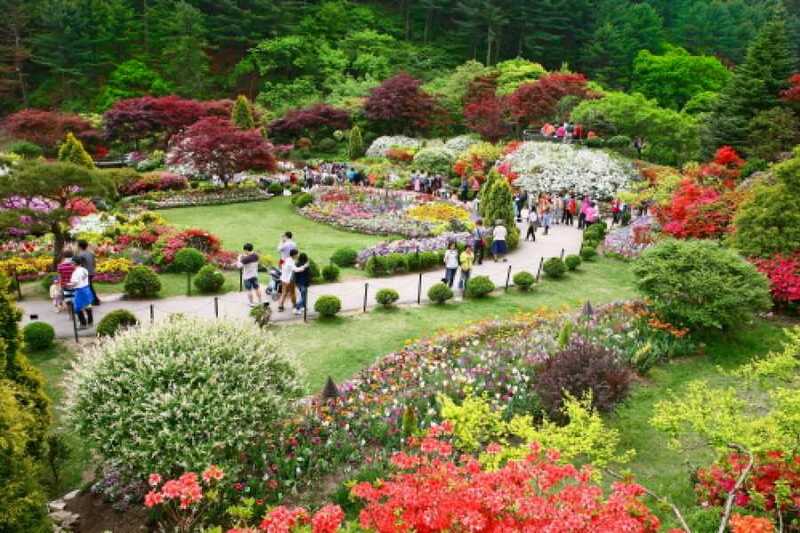 The Garden of Morning Calm is one of Korea's major botanical gardens, attracting about 700,000 tourists from home and abroad annually. The garden aims to promote the beauty of Korean flowers and plants to the world. 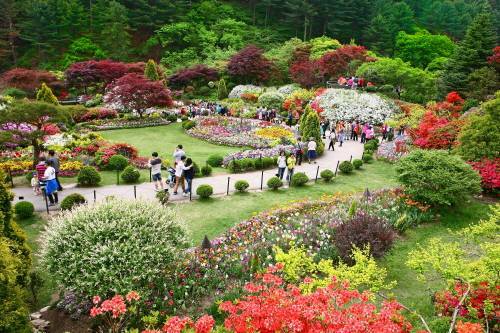 They also play a huge role in developing Korea's garden culture. Every year during The Garden of Morning Calm's Spring Festival, the garden is covered with a rich tapestry of color from the thousands of flowers and trees in full bloom. From the promenade surrounded by a refreshing pine grove, to the 330,000㎡ flower garden, the entire arboretum overflows with nature’s beauty and grace. In addition, the garden holds a range of exhibitions, cultural events and educational programs during the festival. Your trip ends with the return to Myeongdong Station.